Pacific Film Productions / Screen Gems. 26 x 30mins. 1966. Producer: Roger Mirams. Music: Eric Gross. 45(a) (AD) HMV. EA-4816. (m). 1967. "(Theme From) Adventures Of The Sea Spray". (2:55). (E. Gross - J. Eggington). 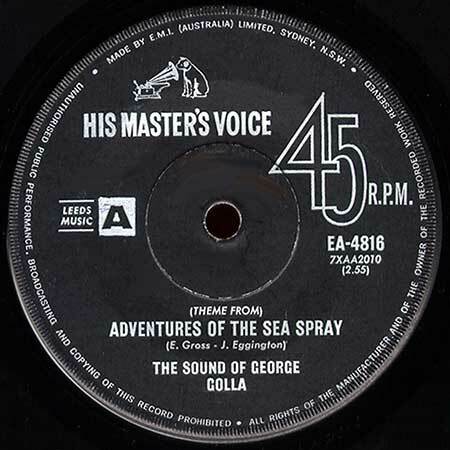 The Sound Of George Golla.